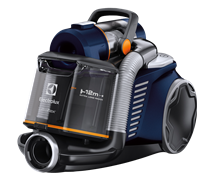 Introducing the new Electrolux Ultraflex™ - Australia's only 5 start SLG rated vacuum cleaner*. 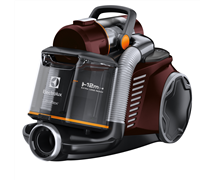 Its sealed filtration system and HEPA filter allows Ultraflex™ to capture up to 99.99% of dust particles, making it the ideal vacuum cleaner for you and your family. 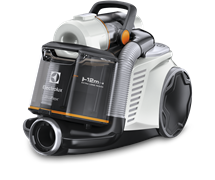 The Ultraflex™ range of vacuum cleaners captures 99.99% of dust particles, ideal to relieve symptoms for asthma and allergy sufferers. The HEPA filter enhances the dust extraction and a completely sealed filtration system prevents any dust leaks in your vacuum. Ultraflex™ boasts an extra-long 12 metre cleaning reach so there is less changing power points when cleaning large areas. Ultraflex™ is also very light and quiet. For extra convenience, choose between two compact parking positions and use the clip-on hose to reduce storage space and adapt to your home. Take advantage of Electrolux Platinum Service when you purchase an Ultraflex™. Platinum Service is a free premium offering to enjoy a number of benefits. Enjoy peace of mind with access to a dedicated team of experts, and a new product replacement warranty in the unlikely event of a major fault (T&C's apply).